Tom Cotton (R-AR) is the junior senator from Arkansas. In fact, Cotton has only been in the Senate for two months. He spent one term in the House of Representatives before making the leap to the upper house. 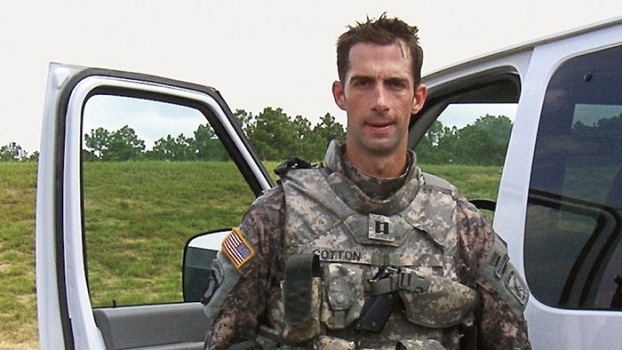 Prior to his stint in elected politics, Cotton was a soldier in the Iraq War. He is now the most powerful man in Washington. Cotton rounded up 46 other Republican senators in Washington to sign a letter to Iran. That letter announced that no deal between President Obama and Iran would ever make it through the United States Senate. The constitution requires a two-thirds vote for any treaty to be ratified. An Iranian deal would not get a majority vote, let alone a two-thirds vote. The outrage from Democrats was immediate. On twitter, the hashtag “47traitors” exploded. More than 100,000 people signed a petition demanding the 47 senators be arrested for treason. Chris Matthews, the Walter Winchel of MSNBC, yelled at his viewers accusing the senators of violating the Logan Act. The sound bite got picked up and parroted by talking heads who needed a point and had none of their own. The Logan Act is a law enacted in 1799 by President John Adams. It prohibits citizens from engaging foreign powers in contravention of the United States. Not a single person has ever been convicted of violating the Logan Act. Only one person, in 1803, was ever indicted under the Logan Act. The government is exempt from the law, obviously, and the State Department determined in 1975 that Congress, as a branch of government, was exempt from the Logan Act. The rhetoric of the left has been farcical. The late Sen. Ted Kennedy directly collaborated with the Soviet Union to undermine President Reagan’s foreign policy. We only learned about that as a nation when the Soviet Union collapsed and old KGB archives were uncovered. In 2002, Congressmen John Bonior and Jim McDermott flew to Iraq to stand shoulder to shoulder with Saddam Hussein against George W. Bush. Former Speaker Nancy Pelosi went to Syria to stand with Bashar al-Assad against George W. Bush. But the most similar action to Tom Cotton’s letter happened in 1984. That year, then-Democratic Leader Jim Wright, who would go on to be Speaker of the House, penned a letter to communist leader Daniel Ortega. The letter, signed by multiple Democrats in the Congress, pledged Democratic opposition to Ronald Reagan’s policies and sought to engage in separate diplomatic relations with Ortega than what the Reagan administration was attempting. For Hillary Clinton to claim last week that Tom Cotton’s letter was something unique in American history was as big a lie as her claiming she could not put two email accounts on one device. In fact, the Democrats know Tom Cotton’s actions are legal. They just do not like his boldness in defiance of a president who increasingly views himself as a dictator. Try as they might, the Democrats have not been able to completely undermine the idea of three separate but equal branches of government. Their spittle flew when Speaker Boehner invited the Israeli prime minister to speak to Congress. Though they claimed the invitation was some sort of breach of protocol, the Speaker also invited the Pope to speak, and the Democrats made no such claims. What is really happening is the Democrats were attempting to allow Iran to build up a nuclear program without anyone noticing. Israeli Prime Minister Netanyahu and Sen. Tom Cotton shed light on the Democrats’ plan. The Democrats were left scurrying about like roaches with the light turned on. They do not like it. The net result of Sen. Cotton’s actions has not been an indictment of 47 Republican senators. Instead, Secretary of State John Kerry had to admit President Obama’s negotiations with Iran were non-binding and unenforcible. But for Sen. Tom Cotton, America would never have gotten that admission. It makes the senator one of the few people in Washington who has been able to throw Barack Obama off his game.